At a recent seminar on sound design held at the ÉCU (European Independent Film Festival) in Paris, mixer and recordist Nikola Chapelle talked about the tendency of American films to emphasise and exaggerate natural sounds to such an extent that ‘we are always disappointed with reality’. In response to this Hollywoodian hyperacusis, Takashi Miike’s Ichi the Killer proffers a sound design so amped up as to suggest the experience of some kind of severe neurological disorder. Blood does not merely flow in this immensely bloody film: it gushes, ripples, roars from wounded bodies like waterfalls close-miked and amplified to the point of distortion. Amid all this, there are many sounds that are on the borders of music and sound effects, or ‘noise’. At which point in the mobile-phone-ringtone-computer-game-soundtrack-muzak continuum do we enter the realm of music per se? The score by Karera Musication inhabits an equally liminal space on the edge of music – albeit coming from the other direction, as it were. There is no functional harmony, no progressions, no build-up and release of melodic tension. Rather, there are rhythms and textures – and not always at the same time; there are gurgling, whirling, sweeping electronic sounds; white noise, high-pitched test tones, processed voices and nature sounds; all sliced up in the editing suite with the same psychotic surgical precision as Ichi’s victims. Karera Musication is in fact Japanese band The Boredoms, here without their usual ringleader and founder member Yamantaka Eye, with guitarist Seiichi Yamamoto taking over conducting duties, aided and abetted by drummer Yoshimi P-We. The Boredoms were formed by Eye in 1986 out of the ashes of the performance art/noise group Hanatarash, who had been banned from performing due to the tremendous amount of property damage and physical danger that had become a hallmark of their concerts (which would involve circular saws, Molotov cocktails and bulldozers). Taking their name from a song by The Buzzcocks, The Boredoms started off playing a kind of highly abrasive, yelling, screaming free-form punk noise. But by the end of the 1990s this sound had evolved into a percussion-heavy psychedelic space rock, heavily influenced by krautrock and p-funk. 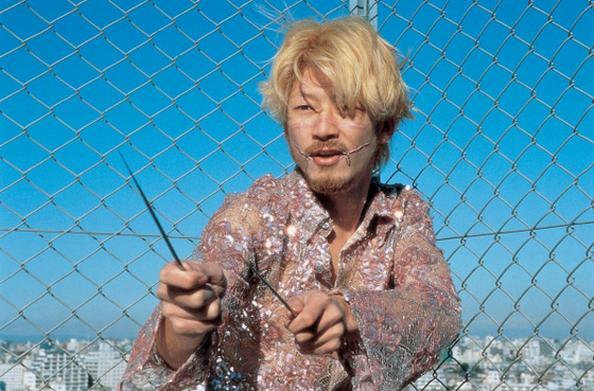 The soundtrack to Ichi the Killer proved to be the last thing the band recorded together before the departure of Yamamoto and other members led to an extensive regrouping around the original core of Yamantaka Eye and Yoshimi P-We. The music exhibits a great deal of the kind of intense polyrhythmic drumming and wild free electronics that one would expect from The Boredoms, with added moments of Sun Ra-esque jazz trumpet, sludgy wah-wah guitar, and a playful, almost childlike, use of samples and traditional Japanese instruments. The soundtrack as a whole is as delirious and exploratory as the film it accompanies, the frenetic editing style and plethora of post-production visual effects matched punch for punch by The Boredoms’ music. A surreal mix of visceral intensity and wistful lost innocence that might be less an attempt to ‘score’ the film’s images to specific targeted cues, and more a kind of aural animal magnetism, striving to leap directly into the febrile imaginative life of Ichi himself.